Oh Happy day! The Oscar nominations are out! It actually doesn’t seem that daunting that I still need to see six of the nine films nominated for best picture. I was going to see “Dallas Buyers Club” tonight but it’s too cold outside to leave the house again and I may or may not be wearing my pajamas at 6:30 p.m. I am done with “Gravity,” “The Wolf of Wall Street,” “American Hustle” and “Nebraska,” which I am thrilled made the cut. As is the case in most years, there is consistency in nominees throughout the best picture, acting, directing and screenplay categories. The cast in “Blue Jasmine,” “August: Osage County,” and “Captain Phillips” are some exceptions there. It’s considered an upset that Tom Hanks didn’t get nominated for “Captain Phillips,” but Barkhad Abdi is certainly making up for it with his supporting actor recognition at both the Golden Globes and the upcoming Academy Awards. Back to best picture, I really don’t think “The Wolf of Wall Street” is deserving of the nod and “Inside Llewyn Davis” could easily replace it on the list given the Coen Brothers’ past success at the big show. It could be Leonardo DiCaprio’s year for the coveted best acting award. 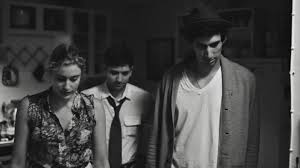 If I ruled the world of film awards one of my favorites from last year, “Frances Ha,” should really be in the mix. The project from indie power couple Greta Gerwig (who did get a nomination for her role as Frances at the Golden Globes) and Noah Baumbach just needs more attention. So you have two options, stay home tonight like me and watch something (might I once again suggest “Frances Ha”) on Netflix or bundle up and go to the movie theater. I do, as always, plan to see all the nominated films before the Oscars. The nice thing is a film’s nomination often means it will be in the theater longer or, with the Oscars airing on March 2, more of the titles may be available to watch at home by then. 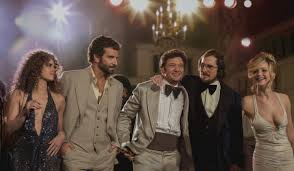 “American Hustle,” for example, could be one you don’t have to leave the couch to see. Lawrence secured a Golden Globe for her performance in the David O. Russell picture. Amy Adams has a Globe now too and there is buzz about repeat wins for both actresses at the Academy Awards. Russell and his cast (which includes some surprises) deliver a solid con-artist film on all levels through the writing, costumes and the music. I’m on my third cup of tea for the day and I have seen the ending of “Nebraska” three times now. Too much? I don’t think so. One of the (only) perks of an usher shift at the movie theater, especially right now, is escaping for a few minutes to watch Woody Grant (Bruce Dern) have a moment to drive down the street in his son’s truck and pretend it is his own. Taking in this scene in exchange for having to sweep up popcorn and pick up boxes of Cracker Jack (which we don’t sell) several times in an evening will suffice until I can see the whole film again. As I said, Dern plays Woody Grant in the black-and-white film about a man who thinks he has won a million-dollar prize and wants to go to Nebraska to claim it. He’ll even walk there, from Montana. While his wife Kate (June Squibb) and son Ross (Bob Odenkirk) are a bit fed up with Woody, his other son David (Will Forte) comes in to pick up the pieces. David hasn’t had the best relationship with his father either, but ensures he gets home safely after repeated attempts to walk across state lines. Clearly Woody is seeking something more than the million dollars. He needs to get away and perhaps wants something more in his life as he ages. The result is a chance for Woody and David to bond more on a father-and-son road trip to Nebraska. David’s girlfriend just moved out of their apartment and his job at an electronics store is not his life’s dream by any means. The trip ultimately becomes a time for the whole Grant family to come together again and for Woody to revisit his past, including the town in Nebraska where he was born. David is able to learn more than he ever knew about his father from the local people in town, my favorite being Woody’s high school sweetheart, Peg. It’s a sad story just as much as it is uplifting and the script, with Payne’s direction, lets the viewer in to connect with the characters. I think a repeat viewing of “Nebraska” would reveal even more of the characters and the meaning of the story. At the same time, it can be taken at face value to be about the importance of family. The film has been criticized for being negative in its portrayal of an elderly character and the state of life in the Midwest, but I just didn’t see it that way. Payne is from Nebraska, so I can’t imagine his intention was to tell a negative story – just the truth. 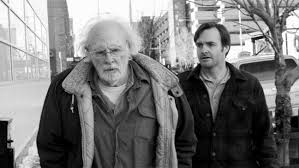 The visuals and music add to the theme of “Nebraska,” but like any story very centered on its characters, the actors’ performances are key. Dern, Squibb and Odenkirk all fit well in their roles and my favorite performance was by Forte. “Nebraska” certainly has its share of award nominations and wins as does the Coen Brothers’ Inside Llewyn Davis, another film centered on the ups and downs in the lives of its characters. Oscar Isaac, who plays Llewyn Davis, has the most screen time compared to the supporting cast of Justin Timberlake, Carey Mulligan and John Goodman. Davis is a struggling folk singer trying to find a niche for his music during the early 1960s in Greenwich Village. He moves from couch to couch at his friends’ apartments and is as much navigating his personal life as his career. Characters like Jean (Mulligan), Jim (Timberlake) and Roland Turner (John Goodman) are there to exemplify Davis’ struggles and show that he is really on his own. His character can best be mirrored in that of an orange tabby cat who he is paired with for a good part of the film. The cat – maybe this is too literal – is lost and sometimes hurt during its screen time, much like Llewyn. I think this film is worth a second viewing, too. 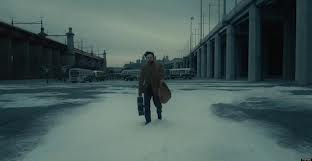 The music and cinematography choices by the Coen Brothers are as much of a character in the story as Llewyn Davis and they all deserve more study. Now if I only had more time. I’d venture out today if the temperature wasn’t approaching -50. * Today (Jan. 5) is Oscar Isaac’s birthday. * Bryan Cranston auditioned for the role of David in “Nebraska” and Jack Nicholson was considered for the role of Woody. WAIT, I’m still not done. Being that winter has no end in sight, I am sure you could use a recommendation of a movie to watch at home. I definitely suggest “The To Do List” with Aubrey Plaza, Bill Hader and Rachel Bilson. Brandy Klark (Plaza) decides to live it up during the summer before she goes to college by exploring a whole list of sexual escapades instead of buying shower shoes and extra long bed sheets for the dorms. The film takes place in 1993 so it was fun to see a throwback to the era of mix tapes, Trapper Keepers and scrunchies. OK, now I am really done.